January - Woke up at 3.45am 2 days in a row to head over to Trillium Lake for a sunrise shot. Day 1, fogged in. and I remember Rami and Lance and I decided to not do the hike. Day 2, extremely clear. The forecast on both days were partially cloudy. Great! Haha so heres a shot of Trillium Lake with some reflections. January - Trillium Lake, Oregon. February - St John Bridge and Mount Hood from Portland, Oregon. February - After my (n+1)th time to this extremely famous viewpoint in Portland.. 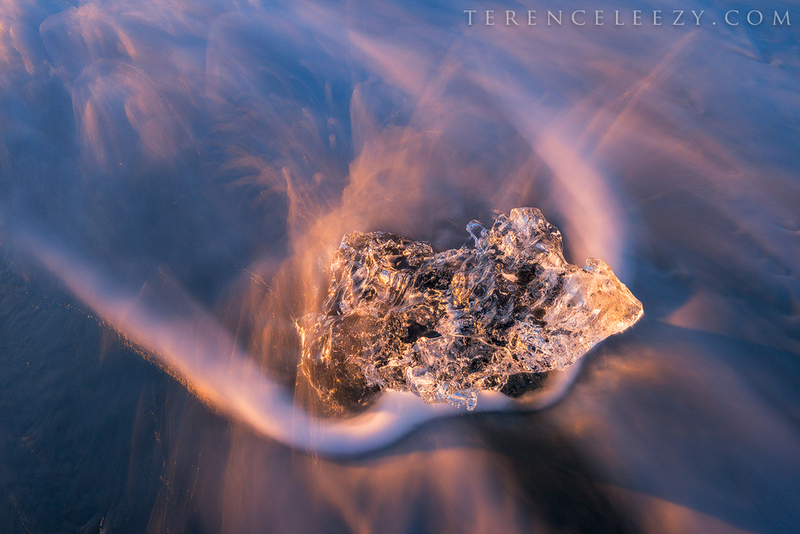 This is probably the only time when all the conditions came together in a single exposure. Fog + city lights + Mount Hood + awesome sky. Checked. February - Pittock Mansion, Portland, Oregon. February - Was here again with Justin Poe couple weeks later and the iPhone version of this shot was 1 of the 4 that made it on Apple billboards as part of the shot on iPhone6 campaign. March - Iceland probably deserve an entire separate entry on its own. Ran into the biggest snowstorm they had in a while right when I landed (how lucky as always), spend probably 2 nights sleeping in the parking lot of Hallgrímskirkja before I started going anywhere. *Nervous laugh* Met a group of Thais that drove over to Kirkjufell before the snowstorm started, they got stuck at Kirkjufell for the next 2 days too. Not sure if it's better to be stuck at Kirkjufell or Reykjavík, but I totally fell in love with the noodle station haha, warm bowl of Thai beef noodle soup in the snowstorm = comfort food. Had that for 3 meals in 2 days lol, it was that good. :D Though the weather is generally never very good over there, it's the nicest country I ever visited. I will be back. I will. Side tracked too much but I wanted a photo of rainbows with the falls, went back over and over and just didn't fall though, so I will live with this reflection pic for now while Ron Coscorrosa continues to troll and terrorize me with his massive NAS drive collection of rainbows from Skógafoss. March - Reflections of Skógafoss, Iceland. March - Spend almost 2 weeks in Iceland, not even enough. :) Definitely my favorite waterfalls in Iceland. The blue glacier water is real pretty. March - The waves in Iceland are pretty scary. One of these waves crashed and almost took me out into the ocean with all my gear... Glad nothing serious happened. March - Vik Beach, Iceland. April - Camera buttons had some issues for a while now.. Was deciding between sending it for repair and hoping that it would arrive before the Iceland trip or pray that the camera will not fail in Iceland. Went with the latter and was glad it survived Iceland. Here's one of those times I shot with my old d700 this year. Liked it quite abit and went back multiple times after I got my d800 back from Nikon but the pear blossoms were past peak. 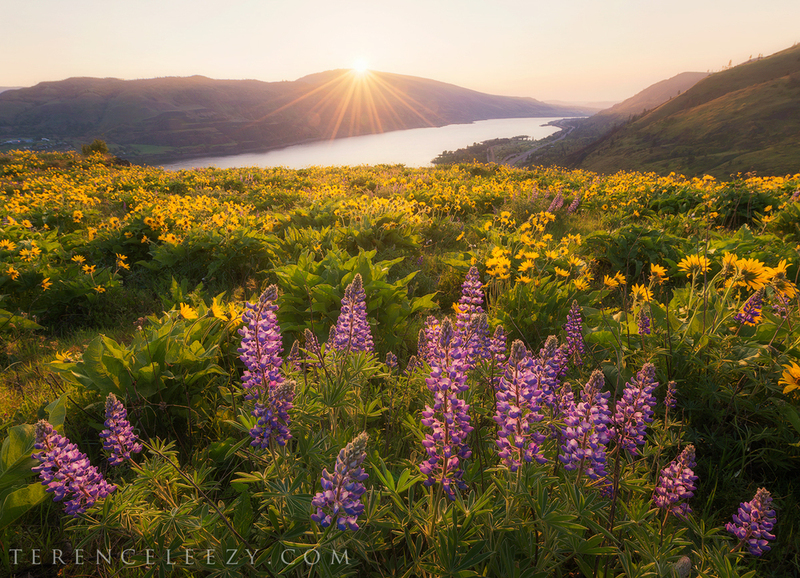 Postcard shots of Hood River, Oregon. May - Steptoe Butte State Park, Washington. May - Camera was in the shop again. Another d700 in action attempt at fairy falls. June - This was one of the highlights from my short roadtrip to California with Rami. For several reasons, I have always skipped this waterfall; it's out of the way, requires walking on some train tracks, involves parking issues and the list of excuses goes on. Anyway, after skipping this numerous times, Rami decided to pull a last minute road trip and I just hopped on the bus. As usual, it's not the easiest place to access, but the place felt like the California Zoo by the time we left. Definitely drop by if you are ever in the area. It's worth it. June - Mossbrae Falls, California. June - Here's my personal favorite waterfalls in Oregon that we visited due to bad weather along the Oregon coast over the weekend and made some changes in our plan. Still remember my first time here when I left with quite a bit of damage. Slipped, fell, damaged gear, drowned a remote, ripped pants and a couple deep cuts. A year or so later, I have probably been back 3 or 4 times now and the falls has definitely changed alot probably due to higher water flows at some point. I always wanted to show the sense of scale for this giant mist machine. Hope I was successful in conveying that here. This pic also won the water category this year of Oregon Wild Outdoor photo contest. Credit goes to Rami who helped me wipe my lens and triggered. June - Was in Redwood National Park one morning shooting this lone rhododendron and a giant truck pulled over and 2 photographers got out, Sarah Marino and Ron. Pretty awesome morning chat, didn't walk away with any light beams but here's a foggy picture from those GIANT trees. June - Redwood National Park, California. June - Ancient tree at Crater Lake. If you look hard enough, you can probably see wizard island in the distance. Walked to this tree and saw 2 other photographers, happened to be Brian Adelberg (days before his baby was due!) and Brian Kibbons. July - Another road trip to Rainier cos Sarah decided to buy a last minute ticket up here for the weekend. Called up Rami for a last minute trip out and somehow things all worked out. Clear skies through the trip but wildflowers were looking awesome and at peak. Here's one from sunset. July - Mount Rainier, Washington. July - Two of my favorites things, red and lone tree. What not to like about it Haha. August - Went back to Banff again in the summer! Moraine Lake still had me in awe, nonetheless; imagine 10 giant peaks towering over an emerald lake, with layers of pine trees skirting the lake, alpenglow, reflections and all the good stuff. I could probably just sit around the lake and do nothing but admire it all day, but we had to check out Lake Louise and had to move on. August - Located in some remote canyon. At some time in the day, the arch glows from the reflected sun light off the canyon wall behind. I always classify pictures into 2 categories; looks good in photos and looks good in person. The 1st category basically just means it involves some form of photography technique; isolation of subject, reflection by going really low, perspective, telephoto or something along those lines. The 2nd category needs no further elaboration, basically looks good when you are seeing it. This place belongs to the latter, the glow is UNREAL. August - Sacred Arch, Arizona. August - On the verge of a 3000 feet drop above Colorado River. Yeap, that's me looking for cell signal. October - Was here for another rainbow attempt again. 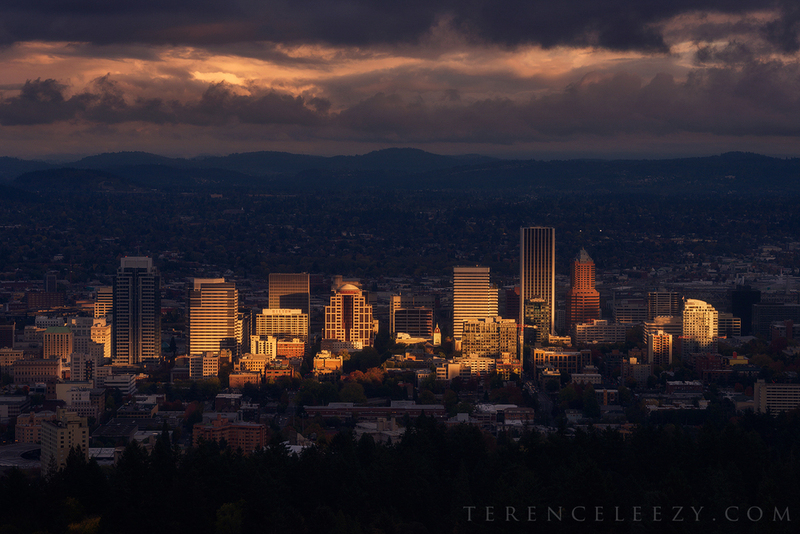 Saw this strip of sunlight that was illuminating downtown Portland. November - My favorite series of iPhone pictures, all from the Subway hike in Zion National Park, Utah. I could hardly convince people that its all shot on iPhone.. but the next 3 images are all #ShotOniPhone6. This happened the night when we saw this weird UFO cloud in the sky, greenish/purplish probably due to light pollution. Later got tweeted and hashtagged all over the place. Apparently, was Navy Trident II (D5) missile test flight off the coast of Southern California. Here's a selfie from that night. November - one of the coolest hike I have ever done and had wanted to do for a long time. Spot the hikers all along the trail to the top! :D the guy with the blue bag is Pete Pattano. November - Wanted to do this for a while now but conditions never quite worked out. Costed me an umbrella but I guess it was kinda worth it. :P Rainy morning with Lance and Rami and met Adrain Klein at the falls. December - Headed out to FCF with Lance and Rami, half hoping the gate will not be closed. Alas didnt get too lucky there. That gate added 4 unncessary miles to the hike in the not so awesome ice and slush. The consistent rain didnt help the situation at all. We were about 4 day late from prime, may look pretty and all but I got 3 word; cold, wet and miserable. Haha. Got to 2 miles before the trailhead, seeing the icy scene and i realized i had forgotten my spikes.. Opps. Stole one side of Rami's spike during the hike and when I got here, precariously slide around those slick ice to get to the edge for the selfie. :) Cold, wet and miserable but I guess it was still a pretty scene! December - Seen a bunch of pics and travel blogs of Christ the Redeemer but I never thought I will see it in person. Foggy rainy but definitely very cool. I guess we managed to skip the crowd, when I tried to purchase the tickets at the counter in Copacabana (the world famous 4km balneario beach), the lady at the counter warned us "0 visibility" and after buying the ticket, she placed a big fat stamp in red on the tickets that reads "ZERO visibility" that was kinda funny. I guess I managed to skip the crowd, saw a bunch of Taiwanese up there as I was leaving, definitely didn't see much Asians the entire trip. Pretty rare IMO for a popular tourist spot. December - Christ the Redeemer, Rio de Janeiro, Brazil. December - Iguazú Falls, Parque Nacional Iguazú, Argentina. December - Glimpse of Heaven. :D also one of my favorite pics from Rio de Janeiro, Brazil. I really like how the clouds formed a ring around Corcovado Mountain (It means hunchback and apparent when you see the mountain from Vista Chinesa which I didn't end up seeing anything due to the fog) with Christ the Redeemer at the top. Might also be one of my personal favorites from 2015 and hence kept it for the last.